The best comeback album I have heard in a while. Everybody who witness the underground boom! of the early nineties at least we heard one of the two successful albums that Cancer could achieve at that time "To the Gory End" released in 1990 and their unrivaled album or cult classic album in my opinion "Death Shall Rise" was unleashed in 1991, but their album "The Sins of Mankind" from 1993 lacked that ruthless punch of its progenitor, after that began the downfall and "Black Faith" it vanish by itself, the band once again make an attempt in 2005 with their album "Spirits in Flames" which wasn't bad at all, but still carrying the heavyweight from the beginning on their backs; So, the forced question here should be; Has Cancer finally found the old formula to deliver an album according to its legend status? The British metallers Cancer has come back and been honest with you guys they did it in great shape, their sixth album entitled "Shadow Gripped" is far beyond to be a disappoint with tracks like "Garrote", "Crime so Vile" or "Down the Steps" enjoy of plenty brutal and heavy guitar riff as they brought us in the nineties. 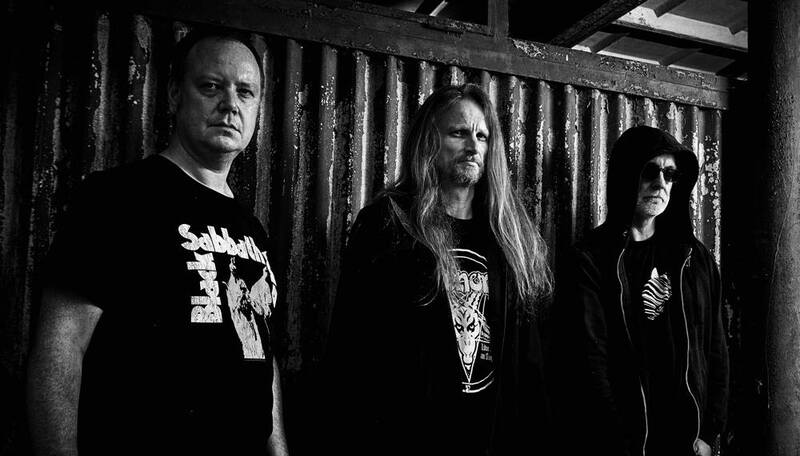 The current line-up consists of Ian Buchanan in the bass guitar, Carl Stokes behind the drums and John Walker in the guitars and vocals. 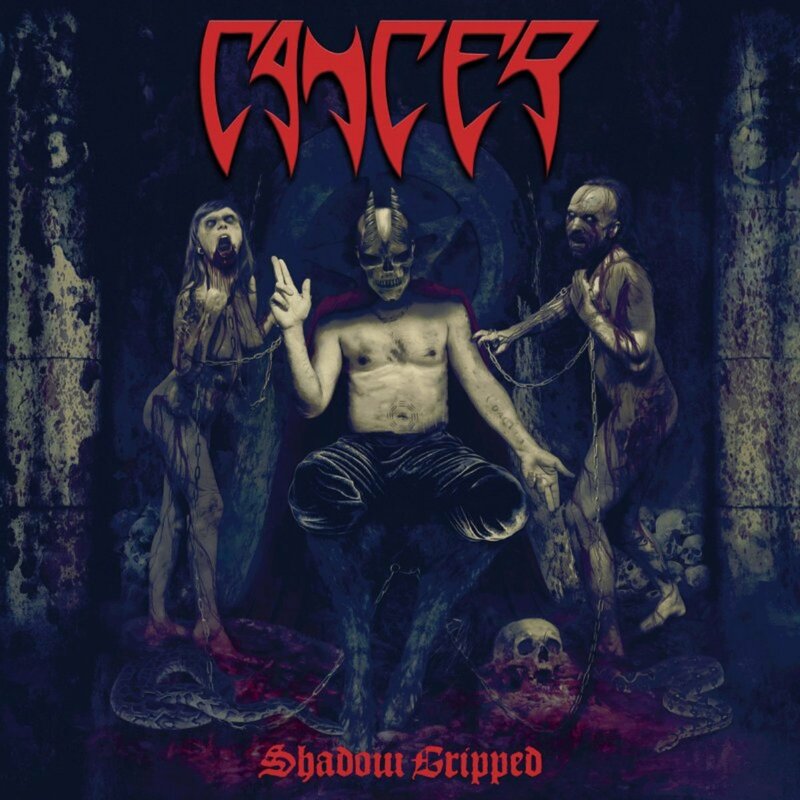 Cancer took over thirteen years to release their new album "Shadow Gripped" but the outcome is superb from the beginning "Down the Steps" with dreary guitar riff opens while the drum work becomes increasingly beefy and the grunting vocals interact smoothly to perfection, reviving those days of the old school death metal, "Garrotte" is the single track released couple months ahead, the song by itself is demolishing and ruthless going from mid-pace riff to frantic and fast riff the drums are remarkably delivering the classic sound making this track memorable for its catchiness and savagery, let's skip to "Organ Snatcher" reveals a vile and fetid ambiance with a sick and nauseating riff while the drums sound menacing with its unique rudeness, the gruesome vocals are irreverent fitting to perfection in this track, "The Infocidal" delivers a relentless drumming work, fusing properly with the aggressive groovy riff, remarkably for the elements that once enthralled you, this is a great song, "Half Man Half Beast" brings an epic feel with the orchestration and chants addition, giving a diverse approach to their new proposal, very enjoyable track, "Crimes so Vile" sounds extremely solid the chugging and meaty guitar riff, that hooks you up and the bursting drumming retains the heaviness to perfection, "Thou Shalt Kill" stands out for the fastest and brutal riffage focusing into some discordant segments towards the end, the track is packed with merciless drum work that feels overwhelming, "Shadow Gripped" is simply a killer track with a powerful thrash guitar riff very infectious and fierce and fulminating percussions, make this track one more to highlight the last track is "Disposer" at the beginning goes in a slower but vigorous direction with devilish growls full of hatred and a thunderous drums, evoking the glorious days of the nineties. 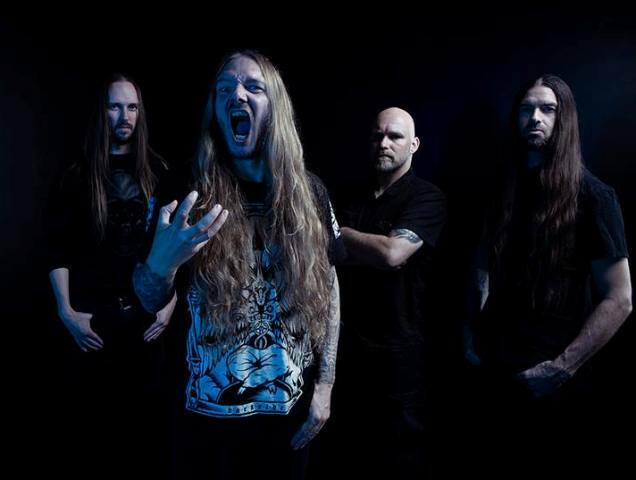 After listening "Shadow Gripped" the only thing I can conclude, this is the best comeback album I have heard in a while, capturing all the elements that once captivate everyone, if you are a true metalhead from yore, you should give it a spin I promise you, they won't disappoint you.